Hi everyone I'm Jack Red, I figured to give myself a test. I decided to do two lists solely on Resident Evil mini games. In rare cases, some of these are better & more replayable than the campaign. Also I am surprised no one attempted doing even for a charity a live stream marathon of them. 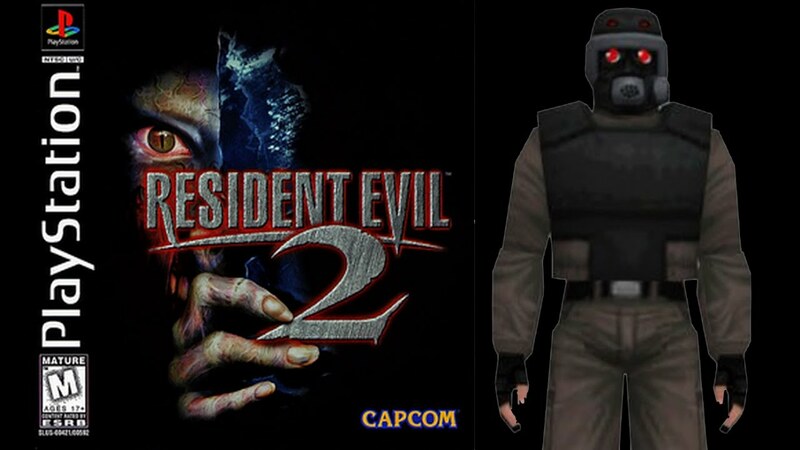 The first list will cover RE1, RE2, RE3, RECVX and RE0. The second list will cover RE4, RE5, REV, RE6 and REV2. Don't worry when the time is right I'll do another one starting with RE7. The rules for these lists are very straight forward. Unless you play it's DS port/remake. You probably didn't know about it's multiplayer or Master of Knifing mini game. 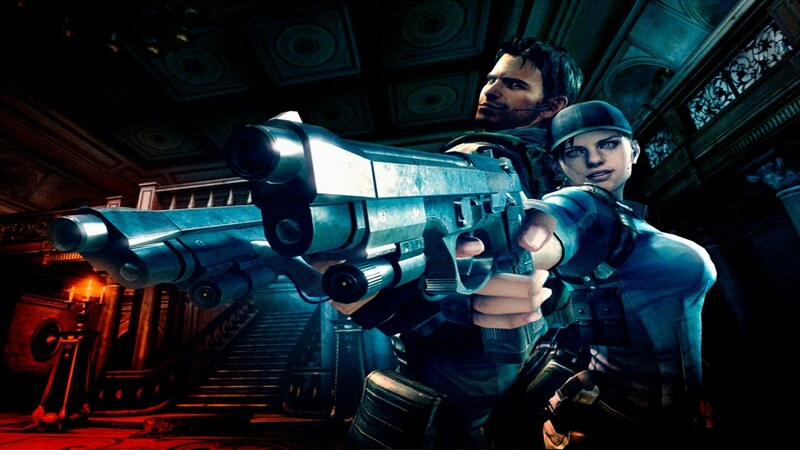 You play as Chris or Jill in a few levels only armed with a knife. Considering some changes in DS remake version included on this cartridge. You can easily knife anything coming at you similar to Chronicles series. This mini game will test more than your knifing skills. It also tests how quick you react & they do send a lot of enemies at you. If you complete it on hard mode with a B rank. You unlock Wesker for it's multiplayer. 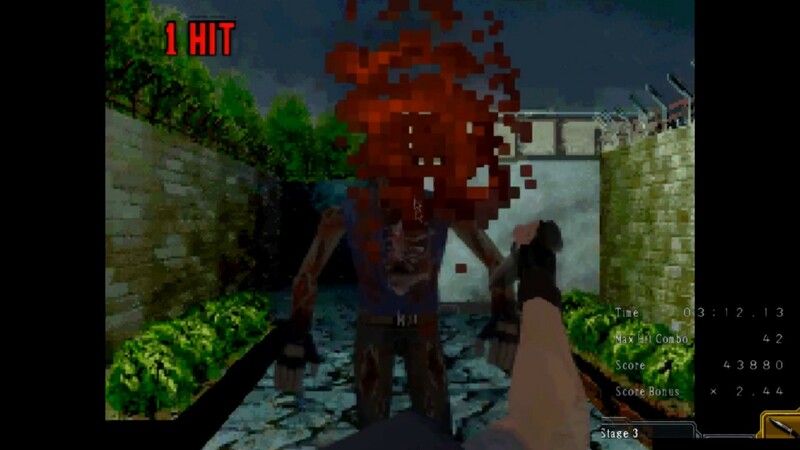 This should be the mini game for RE1 you always wanted. Master of Knifing will help better your skills for DS remake campaigns for both characters. Recently confirmed to return in RE2 remake. Tofu is still one of the strangest playable characters in RE history. You are a giant piece of Tofu that changes color depending on how much damage or you get poisoned. Obviously this is a parody, harder version of Hunk's mini game. Still one of the hardest strictly knife mini games in franchise's history. You have to take risks, learn to avoid enemies at tight spaces & memorize the path. I recently seen someone do a no damage run of this I'm not kidding. Tofu is technically the strongest playable character in RE2. You won't be able to get anything to help you much on your way. In fact you should expect to die a lot. One of my favorite mini games ever, Leech Hunter is better than the campaign. You play as Rebecca & Billy searching for a 100 leech charms. 50 blue leech charms for Billy while Rebecca must collect 50 green leech charms. You got most of the training facility to explore with no time limit. I felt the enemy placements are the best here. Depending on how many leech charms you escape with. Actually determines what exactly will be your prize. Yes it is possible to unlock all five of them in a single run. The worst prize is extra sub machine gun clips are placed in the campaign. The best prize is every fire arm will have infinite ammo. More recently through it's remastered version. Both characters can switch out their costumes including dlc ones at any given time. Which helps spices up such a classic mini game. They really do test how well you know the environment, taking risks and your determination. Trust me I only got the top prize once out of every run I done in it among all versions of RE0 I played. The 4th Survivor essentially acts as the fifth scenario in RE2. Late in the campaign, Annette tells the story what happened down there. Hunk was nearly killed by William in the sewers. He was able to survive with a sample of G-Virus. You get a handgun, shotgun and magnum right off the bat. You get one more blue herb than Tofu got. This is the perfect length with the right level of challenge. You could speed run it if you think you got what it takes. You also could kill every enemy on the way to the end of it. You can't pick up anything extra. Hunk is a nice addition to the game for many reasons. Finally we get to play as a villain character. To be fair there really isn't much known about him. Although G-Virus is still around because of him & Ada. You work your way out of the sewers to the helipad on top of the police station. Some areas are difficult to not take damage. I like both him & Tofu are basically hidden characters in RE2. N64 version has a few codes not present in most versions including unlocking both mini games. Now you seen the best mini games within the rules I put in place. It's time to see how my second list plays out. Keep in mind I'm a long time fan. I am mostly doing this to help kill time before RE2 remake. I also aiming to see what I can do Resident Evil related in the mean time. Which means they might be more RE blogs coming your way. Assignment: Ada originally didn't allow you to knife. 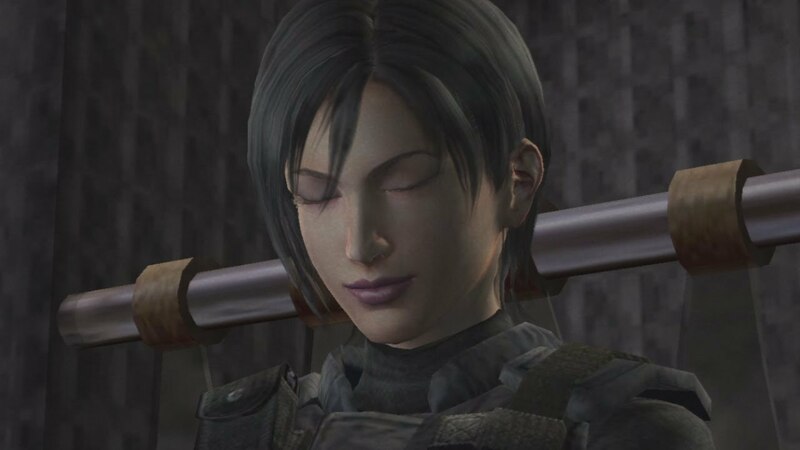 Thankfully from PS2 version, Ada can do that to help save ammo. Let's be honest I wasn't exactly crazy about this mini game. I do agree it can be challenging. Although Krauser boss fight once you figure it out becomes way too easy. The goal is collect five Las Plagas samples before escaping. This outfit she's wearing also appears in the campaign with Special 1 selected or a code for The Mercenaries. Assignment: Ada is one of the few mini game appearances of hers. To sum up this mini game I would say it's like RE4 crushed down to being a much shorter game. Which leading to problems that the campaign doesn't have like terrible spike in difficulty. Yes I know this is more of a dlc but I still like it a lot. In fact more than the other dlc campaign mission. I so happen to like nostalgia in anything Resident Evil. Over the years, Capcom loves referencing RE1 in many ways. For me this was one of my favorite ways of them doing that. They even went out of their way to do a cool easter egg. If you interact with the front doors a few times. You can change the camera angles to PS1 era style. Some areas in the place will remind you of RE1. Hell you play as Chris or Jill essentially making this a semi remake kind of experience. Personally I really like how The Umbrella Chronicles did that. Lost in Nightmares may lack enemies or a frustrating Wesker boss fight. I do like it doesn't pull anything from the campaign at all. Including the store feature to make it easier than it could be.You can destroy these small to big star objects for additional points. Which does go towards your ranking. Yes you can play this with someone else. Most of it's puzzles are very easy to figure out. A rather unusual mini game for many reasons. Unlike most RE mini games where you have to beat the game or mini game or download as dlcs. In some levels of RE4, there's blue doors leading to Firing Range mini game. You can choose how to go about firing at your targets. Believe it or not, the final achievement/trophy involves collecting all of it's bottle caps. In some following games, these led to similar figures with voice overs. I am not going to lie this can be frustrating. Sometimes yes it can be fun for a little while. Thankfully you don't have to buy him anything to play. Even if you keep on losing which is a nice touch. Firing Range is testing how quick your reflexes are, how well you aim and your determination. Originally a dlc for RE6 as one of four multiplayer modes. In it's remastered version, most of it became already available right off the bat. Yes you need online to play this but compared to the other multiplayer modes it stands out. Why because most of them in their own way is too similar to The Mercenaries. However in Predator, a couple players are in matches. At random, one of the players gets to be Ustanak. As one of the survivors, your goal is either survive until time's over or defeat Ustanak. In Ustanak's case you have to kill most players or make sure the ones left aren't able to get back up. Playing as this monster is a rather unique experience. Ustanak has his own weapons from Jake's campaign. He is essentially the strongest playable character in the entire game. Also considering Agent Hunt mode where the weakest are present that's a huge statement. If you think about it, more horror games recently took notes of this. Two great examples of this is Friday the 13th The Game & Dead by Daylight. Separate Ways in all purpose the second campaign that reveals a lot more. Ada gets five nice sized levels with three boss fights. Krauser is a little different since he does change move to platforms during his boss fight. I got to be honest fighting Osmund Saddler's human form was a lot of fun. You must keep on your guard since he could attack you at any given time. Also like the campaign, you do have access to the merchant to buy stuff. You just can't upgrade your equipment. Separate Ways does have Ada taking on the same El Gigante, Leon could face. In the same level where you also face the village chief later on. This does answer a lot of questions simply not answered in the main campaign. I felt this was truly a great experience you can keep coming back to. Among beating all five levels you unlock Ada Reports 1-5. This is interesting because it indirectly references Wesker Reports 1 and 2. Which are very different between each other in many ways. Yes all cut scenes present in Separate Ways also gets added to that mode where you can rewatch them with those from the campaign.